While I enjoy virtually all genres of video games, racing titles are probably my least favorite. But after seeing Forza Horizon 3 in action and reading some of its many positive reviews, I decided to splash out on the PC version during the Black Friday sales. Like most people who haven’t experienced performance problems with Forza 3, I adore the game and was happy to hear developer Turn 10 Studios’ announcement yesterday that the first expansion pack will arrive on December 13. 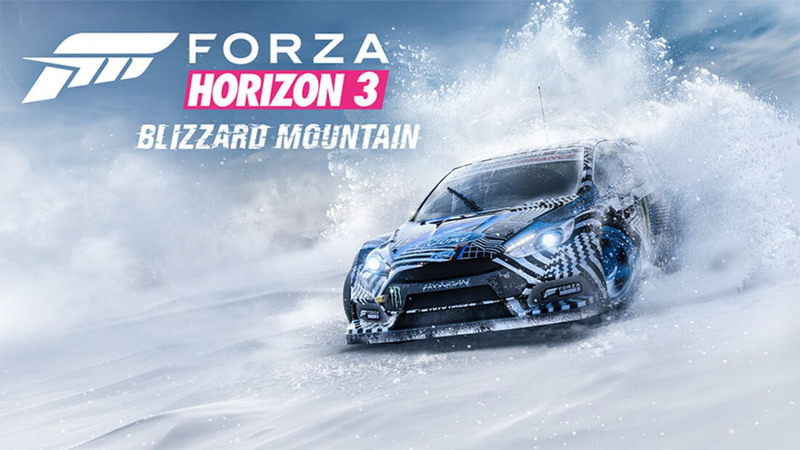 Blizzard Mountain, as the name suggests, moves the action away from the glorious Australian backdrop to an Alpine setting filled with snow, ice, extreme elevations, and blizzards. The new campaign features 50 new events and challenges, and includes new race types such as Hill Climb, Descent, and Blizzard. There’s no word yet on how much the add-on will cost, but it is part of the Forza Horizon 3 Expansion Pass, which, for $35, grants access to two expansion. Expect Blizzard Mountain’s standalone price to be around $20. Anyone who bought the Forza Horizon 3 Ultimate Edition will get a $10 discount on the Expansion Pass, providing they purchase it before the end of the year - which almost certainly makes special edition's $100 price worth it. Additionally, the expansion introduces eight new cars to the game, including a 1975 Lancia Stratos HF, 2016 RJ Anderson #37 Polaris RZR-Rockstar Energy Pro 2 Truck, and a 2016 Subaru #199 WRX STI VT15r Rally Car. Turn 10 Studios hasn't released any trailers or screenshots of the new location, but we can expect to see some in the coming weeks.